Running, freezing at Beachy Head and drinking oolong tea. It’s life, innit! Lorna at Beachy Head, Eastbourne. A beautiful part of the East Sussex coastline. High white chalk, undulating cliffs stretching for miles. When the weather’s good, the views are breathtaking. When it’s bad, you can’t see anything and it’s difficult to stand upstraight. Today, it was awful. Cold, very windy and everything wrapped in a thick mist. 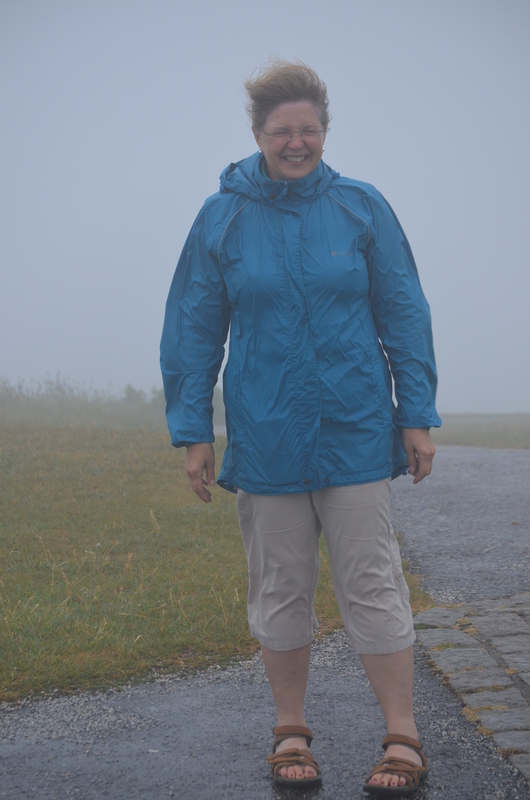 Only 162 metres above sea level and in early summer, it felt like Siberia. The previous day I ran Eastbourne parkrun and I’m very grateful it didn’t incorporate a cliff top section. We just managed to get to the course in time following the satnav deciding to have a laugh at our expense and our determination to not miss our full English breakfast. Admittedly I didn’t eat as much as I would normally do but perhaps too much to comfortably run 35 minutes later. Miraculously no throwing up and not even nausea. I did a reasonable time, given the early breakfast and we found a much quicker way back to our B&B. 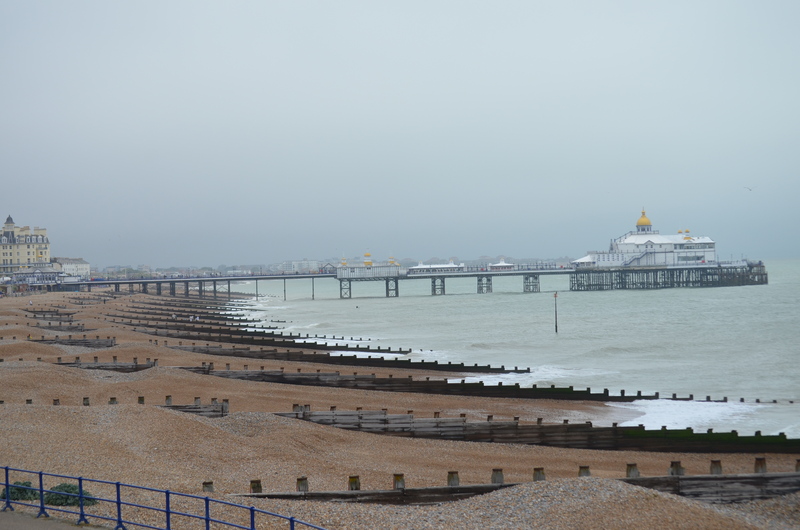 Eastbourne, the quintessential South coast sea side resort. A great many fine houses and mansion blocks, loads of hotels and B&Bs maintained to a high decorative standard (unlike a lot of down-at-heel English sea sides), a fine rebuilt pier and, surprisingly, beautiful light over the sea. I’d be very surprised if it wasn’t solidly Tory but you can’t have everything! The previous weekend I ran a 10k in 30c. I didn’t go crazy and stopped for a long drink at 6k. Last 1.5k bit of a struggle but manageable. The good news? I’ve turned into a tea buff (is this archaic language? does anyone use the word archaic anymore? I drank oolong at Tate Britain (we saw Queer British Art 1861-1967) and I drink lapsang souchong most days. Of course no-one I know has got the slightest interest in tea, least of all lapsang which smells and tastes like a bonfire Delicious. Jeremy seems to be going from strength to strength (relatively) at the moment. Nice Mirror headline today, MAY GIVES £1B BRIBE TO CRACKPOTS referring to the Tory alliance with the DUP to shore up her evil Tory government.